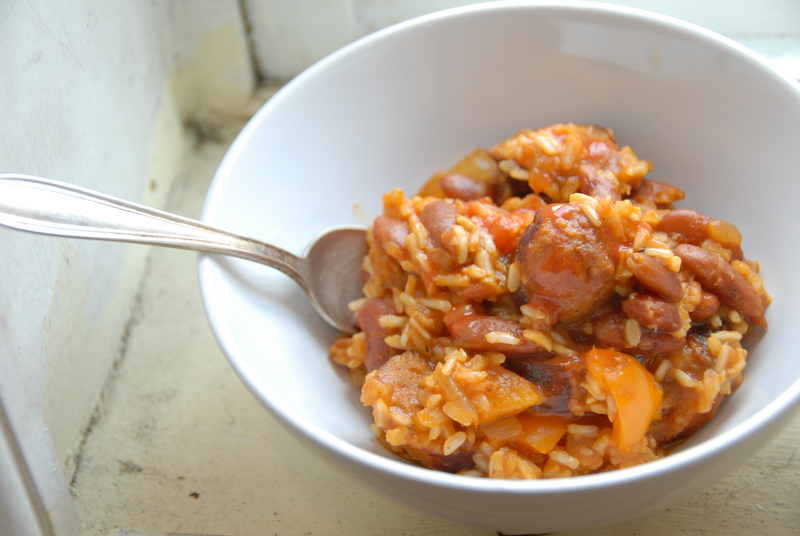 Friday, when preparing this dish I chose to use red beans and brown rice. The beauty of a dish like this is not only the value (I mean, does a hearty meal come cheaper?) but the variety – use the rice and beans as a blank canvas for your culinary creations. Here is just my take on the classic. First step: if you have dried beans (and they really are the way to go…) you’ve gotta bring them back to life. 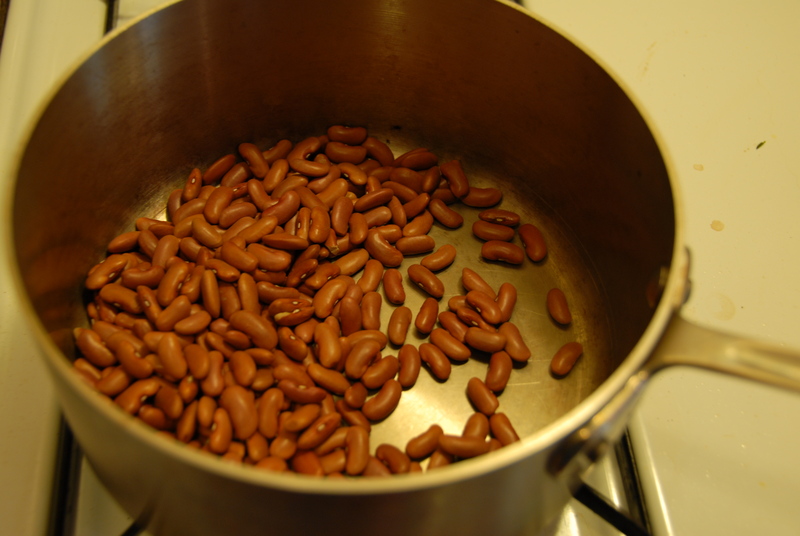 Either 1 – soak them over night in water (6-8 hours) or use a quick reconstituting method by placing one cup of beans in a saucepan with 3-4 cups of water. 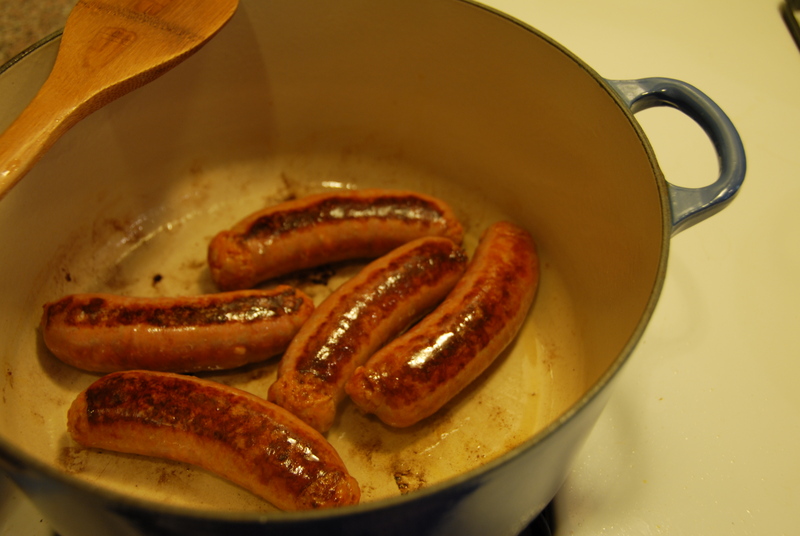 Bring to a boil then lower the heat, cover, and simmer for 1.5 – 2 hours or until desired texture. Now for the rice n’beans: First brown the chorizo in a large pot. After browning for a few minutes on each side remove and place on a baking sheet. Finish cooking in a 350 degree oven for about 15 minutes. Set aside. In the same pot add a little oil and cook the onions, once soft add the garlic. After a few minutes add peppers. Cook until onions begin to brown. Next stir in the tomato paste and cook for a minute or two. Add rice, spices, beans and cooked chorizo back into the pot, stir and add 3 cups of water. Bring to a boil then lower the heat and bring to a simmer. Cover and let simmer for about 45 minutes to an hour. Check for seasoning about half way through. I added more salt and a little more paprika. Once the water has been absorbed and the rice cooked give it all a good fluff with a fork and you’re ready to enjoy! With all it made I’ll be eating rice n’beans for a week! It would be great with some avocado and cilantro mixed in too… the possibilities are endless! 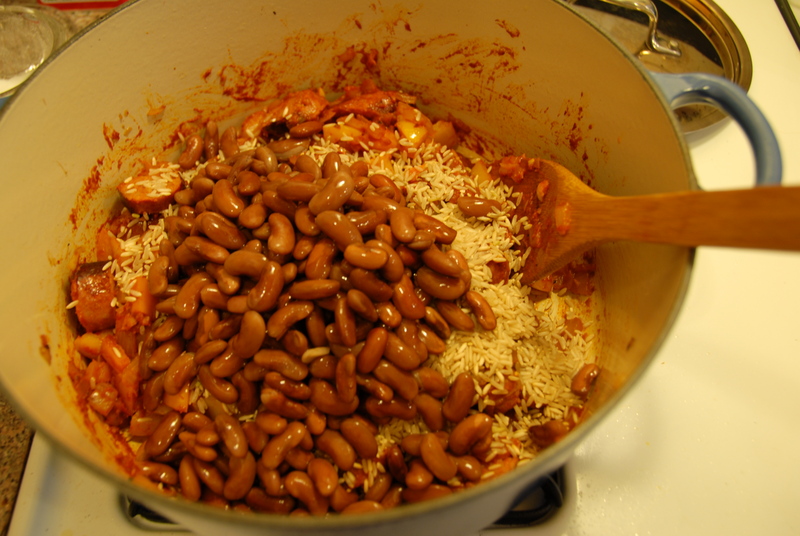 This entry was posted in Beans and tagged beans, chorizo, hearty, rice, Spanish paprika. Bookmark the permalink.